I can’t think of any perfume in recent times that has garnered the levels of intrigue and hysteria that surrounds Lady Gaga’s Fame. The blogosphere is flooded with the ad campaign and everyone is debating everything, right from what it says about the pop megastar’s psyche to the connotations for the feminist movement. At first glance, the image shot by Steven Klein looks like a Birth of Venus incarnation of Lady Gaga infested with spiders. On closer inspection, the creepy-crawly creatures morph into magnificently buff men, who are free-climbing the singer’s body (and what a terrific body, I must say!) in what would be a fetish fantasy for some and a terrifying nightmare for others. And that, I think, is just what the Lady – who has built an entire global career of provocation and shock value – intended. • Rather than having the usual top, middle and basenotes, Fame is crafted like a “trampoline”, where the notes come out randomly. 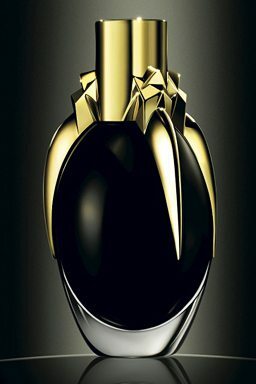 • Fame will come in three sizes, ranging from US$19 for the rollerball to US$79 for the “Ultimate Masterpiece” – a heavy egg-shape bottle that is a direct homage to Lady Gaga’s Grammy egg-hatching moment. • A black soap, body lotion and body wash will also be launched in the coming months. Will you be buying the fragrance? What do you think of the new ad? Freaky or fabulous? And now there is a short film promoting Lady Gaga’s Fame perfume. Called Formulation, it’s all part-French-art-house, part-Breaking-Bad, part-Godard and shows a group of buff lab workers cooking up the perfume in Paris’ Haus Laboratories. Honestly, it’s slick and definitely memorable – a definite improvement on the vanilla girl-flipping-hair ones that we are normally saturated with… but it still doesn’t make me want to buy the perfume. Take a look and tell me what you think!